Door opens. Bang. 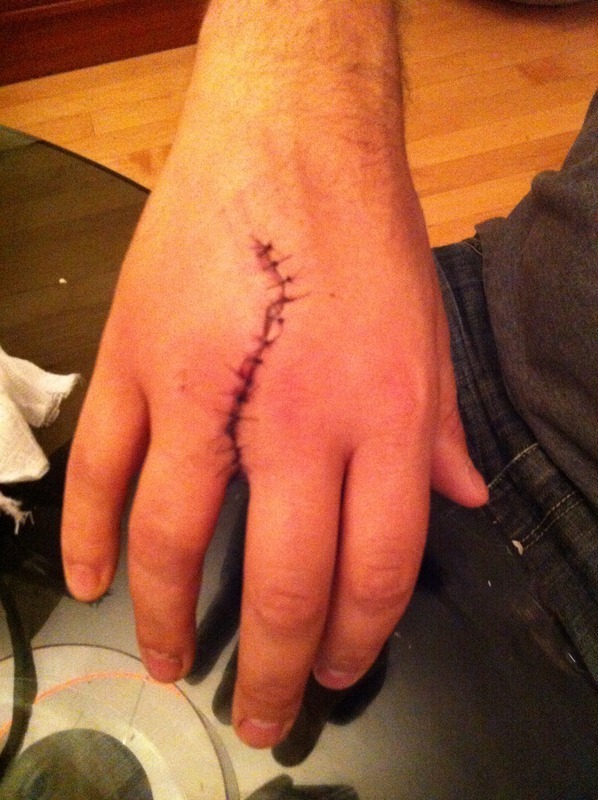 Severe laceration on the right hand. 18 stitches.